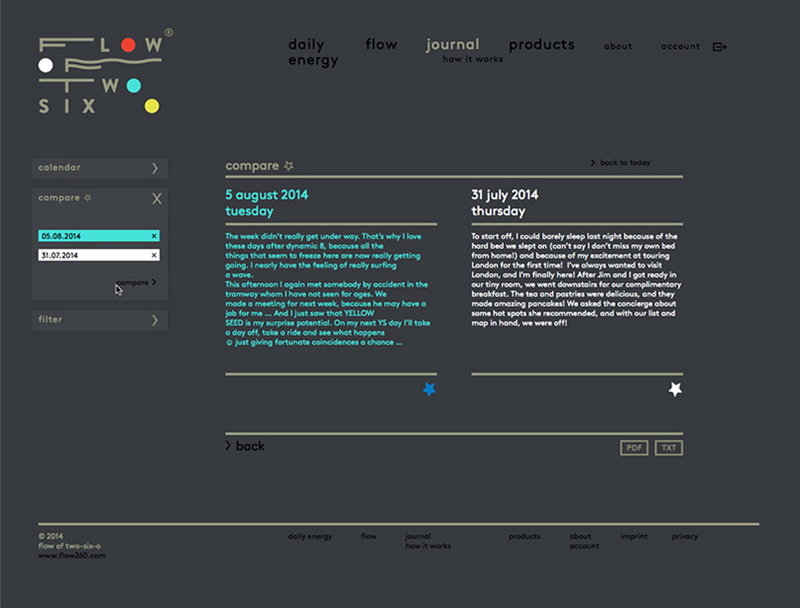 The flow of two-six-o®-Journal is pretty stylish and has a lot to offer. Just keeping a normal journal is so old school. 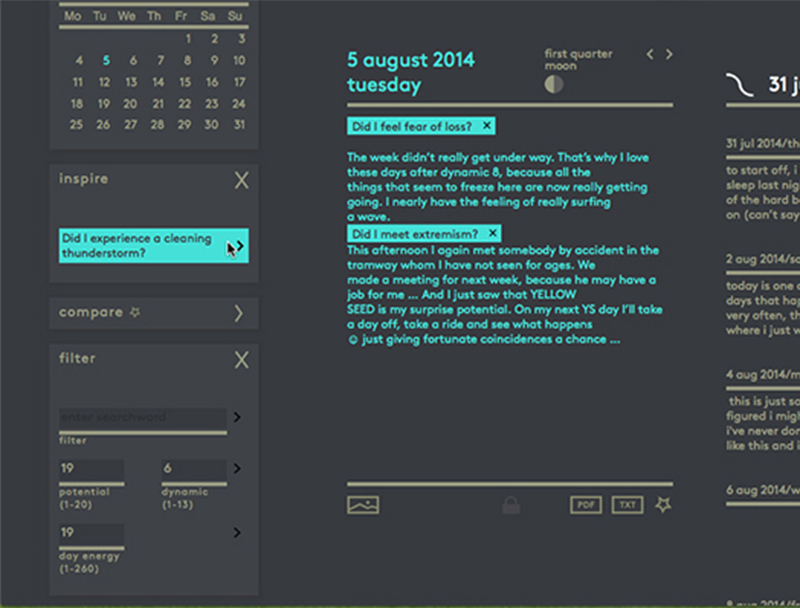 So, here you can keep a journal hand in hand with your time qualities. How about finding out, if your assumed at random playing daily routine hides recurring rhythms? And, maybe these can design your conscious daily routine? In the flow of two-six-o®-Journal you can not only note your adventures, observations and questions, but you get them exclusively associated with your personal field of potential: where can I expect support today, where are my challenges, and from where does the rescuing cavalry come ridden? If you want to dive even deeper into the Flow-Universe this is exactly the right tool. It is absolutely easy to handle. 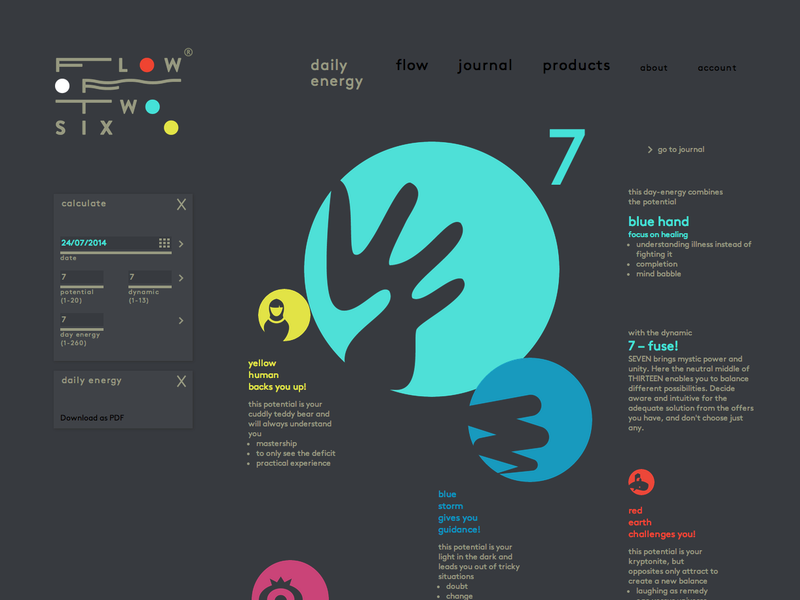 Make a vital growth-record out of your flow of two-six-o®-Journal. Especially to your day energy matched questions will inspire you here every day – to be more aware of what is really going on. What Happened 260 Days Ago? In the Flow of time qualities a SPIN always takes 260 days. After that, you may begin again on a higher level. This means that every day energy will return every 260 days. Wouldn't it be exciting to take a look back and see what happened on the same day of the last SPIN? With the flow of two-six-o® that is fairly simple. 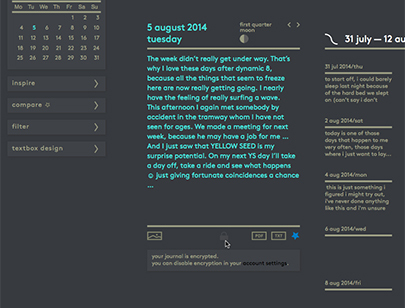 Spiral up and compare days with the same potential, the same dynamics and the same day energy! 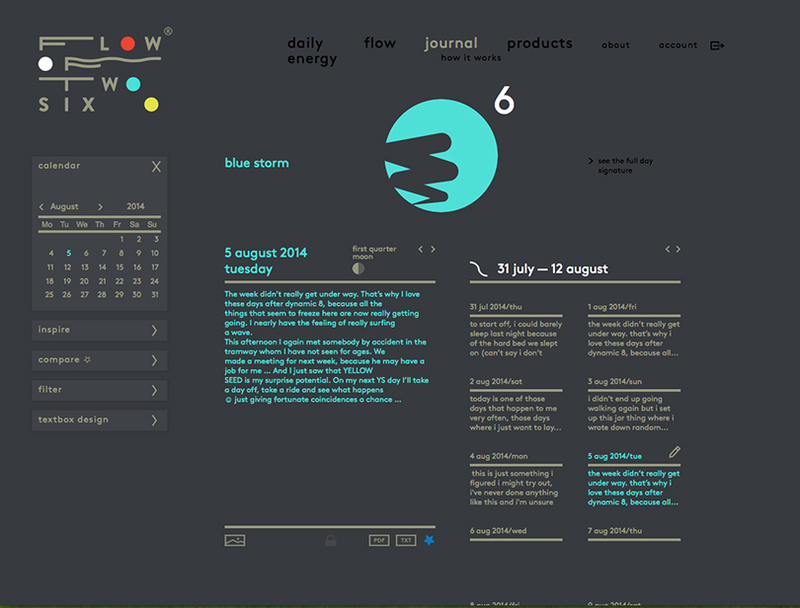 The flow of two-six-o®-Journal informs about all days that are closely connected to your birth energy, namely your whole field of potentials. 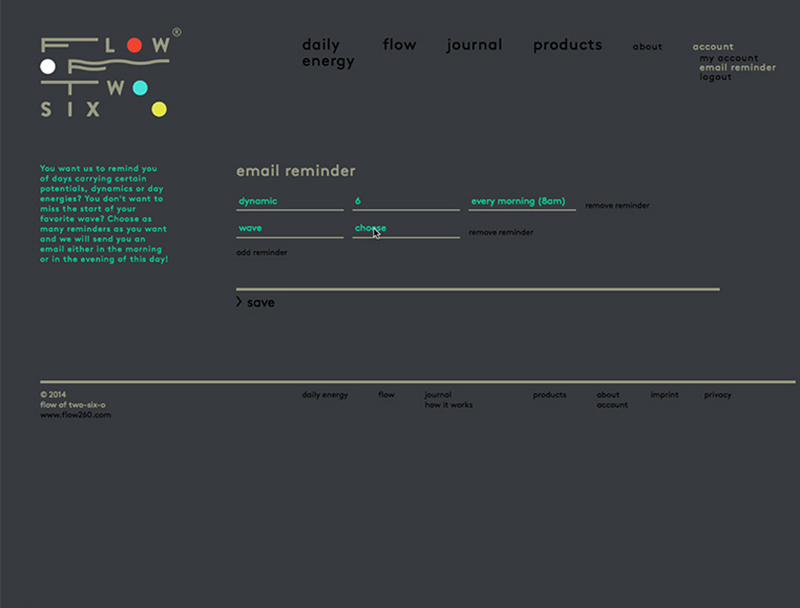 For all those, who don't want to go online every day, flow of two-six-o® has the appropriate feature: regulate your email reminder for when you need an extra note via email – potential, dynamic, day energy or just in time, when a new wave starts or ends. In your flow of two-six-o®-Journal you can filter past entries for certain terms with a search machine and compare these entries. 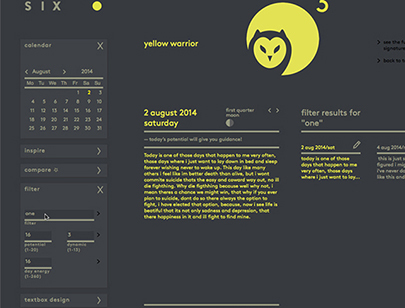 Further, you can principally choose any day – just click onto the star on your right hand at the bottom and compare what you have experienced. 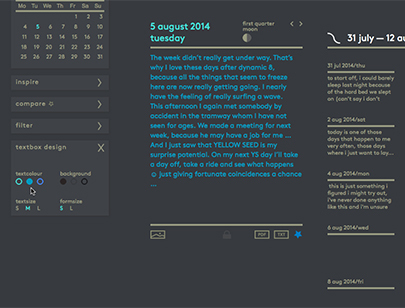 In your flow of two-six-o®-Journal you can adjust the size of the text, as well as the input field, just as there are different options of text color and background you can choose. 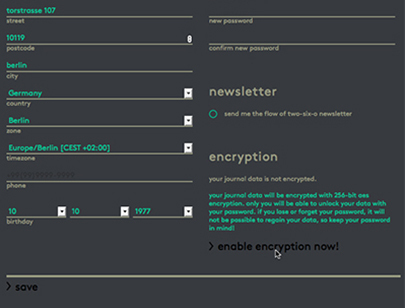 Of course you can encode your flow of two-six-o®-Journal so that only you can access it with your own password. A 256-Bit AES codification is used here. 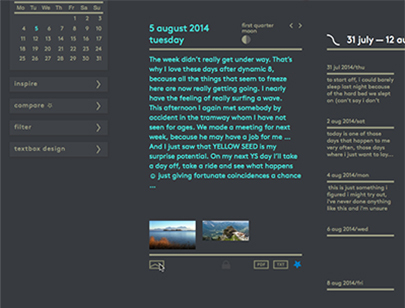 In your flow of two-six-o®-Journal all the photos you have once uploaded and added can be looked at in an enlarged version. Rollover the inserted image, click „View Large" and a high-resolution version of the photo will appear. The maximum filesize for uploaded images is 1 MB. 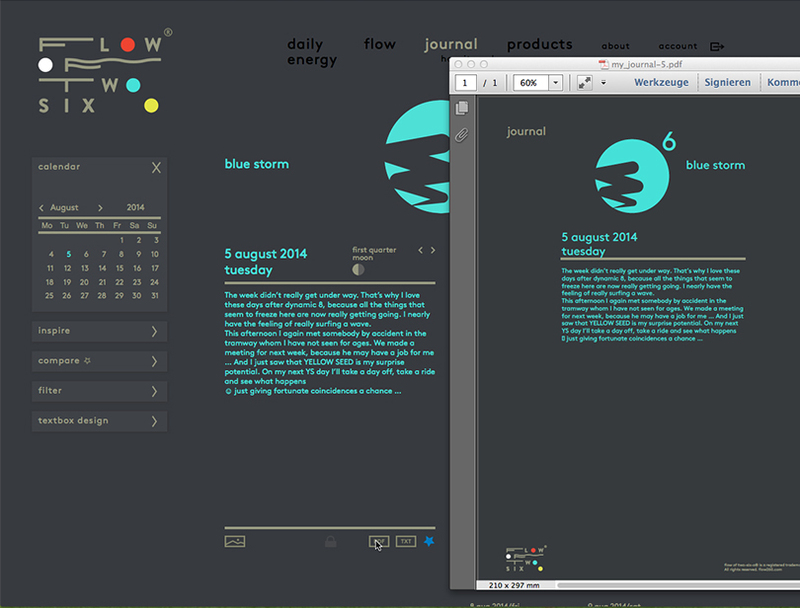 You can save all entries of your flow of two-six-o®-Journal on a hard disk. Export one or more than one at a time to a PDF or TXT file. So you can at the end of a SPIN or at the end of a year print out all entries and bind it to a book for instance. You will have thought of it – the PDF looks very posh.